"Gawalla xa hamattalla" - "Helping our People"
Reconstituted in 1979 out of the earlier North Island District Council, the Kwakiutl District Council was founded upon principles based in our Aboriginal Title. The concept of Aboriginal Title holds that the Kwakwak'awakw are the rightful owners and managers of the lands, waters and natural resources that the ancestors of the Kwakwak'awakw have occupied and used since the beginning of time. The Kwakiutl District Council is a not for profit organization incorporated in 1982 currently representing 8 Member First Nations. These bands are located on the northeastern and northwestern end of Vancouver Island and the adjacent mainland between Comox Valley to the south and Smith Inlet to the north. Each of the bands has its own distinctive name but, as a result of the work of early anthropologists, these bands, as a group have come to be widely known as the Southern Kwakiutl. Because of this, the District Council has found it politically advantageous to use the term "Kwakiutl" for its name. 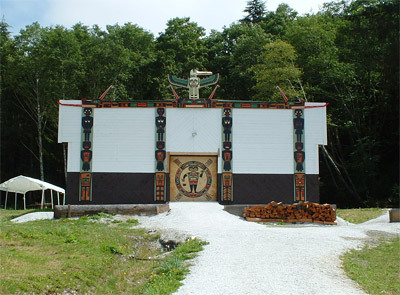 Overall the Kwakiutl District Council, in its various capacities, represents aboriginal people in the Kwakiutl Nation. We, the leaders of the Kwakiutl First Nations, determined to preserve and fulfill the destiny and responsibilities set out for us by our ancestors, do hereby reassert our rights and duties that will stand forever. We have placed, as our goal and purpose, attainment and protection of all the rights of humankind and shall support such efforts by other nations.